Is it time for a change? Try our hydroseeding in Auburn WA! Auburn WA is a great place to live. With casinos, museums, and recreational activities galore, there’s plenty to do and see. But having an auburn-colored lawn? Usually not as great. Brown, dirt yards are desolate and bare. If you have one of these, try having Pacific Northwest Hydroseeding come by to spruce it up. 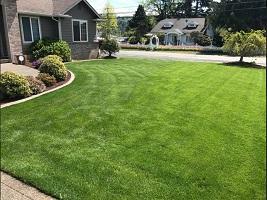 We do hydroseeding in Auburn WA to turn that auburn lawn into emeralds! While hydroseeding won’t deliver the instant change that sod does, it’s no slowpoke. With results starting as soon as a week, you’ll be amazed at the full, even look of your green lawn. Often less than half as expensive as sod, many people agree that the short delay is well worth the wait! But is the quality comparable? Many people agree that it’s even better! Hydroseeding lawns are praised for their even appearance and precision. There is generally less opportunity for weeds to grow, and the hydro seed slurry mixed with the natural soil creates a strong, resilient compound. Hydroseeding plants have higher moisture retention and consequently germinate quicker than other seeding methods. Don’t let those hillsides feel left out! Laying sod is extremely difficult on hillsides, but it’s a breeze with our hydroseeder! Sometimes, when you seed a yard, it doesn’t take. The hydro seed slurry is created specifically to maximize the chance of grass growth by forming a deep root system quickly. Perhaps the most important benefit of hydro seed grass is superior erosion control due to the strong soil the slurry creates. Need to seed an unusual or hard-to-reach location? It’s easier for it to take at your yard with our customized 5-seed hydroseed slurry! Don’t settle; get the look and feel that you want! 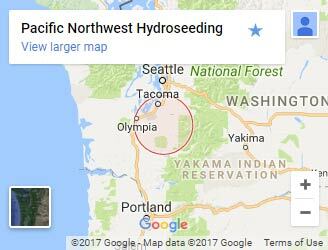 Call or contact us today and let’s get started on hydroseeding in Auburn WA right away!